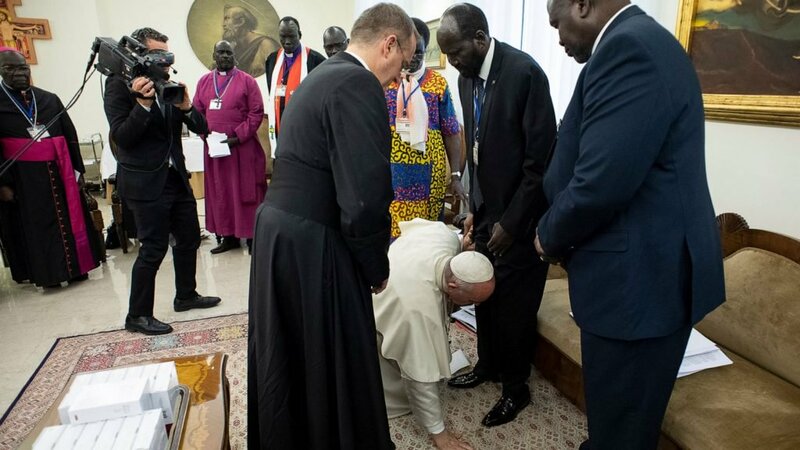 Pope Francis, on Thursday, knelt to kiss the feet of South Sudan’s previously warring leaders, in a dramatic gesture after an unprecedented retreat at the Vatican. The Pope, however, urged them to not return to a civil war. He also appealed to President Salva Kiir, his former deputy turned rebel leader Riek Machar, and three other vice presidents to respect a peace agreement they signed and commit to forming a unity government in May.